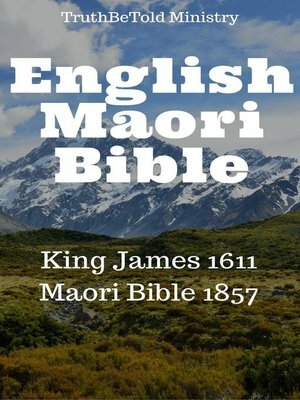 This publication contains King James Bible (1611, Pure Cambridge, Authorized Version) and Maori Bible (1857) translation. It has 173,772 references. It contains 2 different formats of the Bible. It includes King James Bible and Maori Bible formatted in a read and navigation friendly format, or the Navi-format for short. Here you will find each verse printed in the kjb-mao order. It also includes the King James Bible and Maori Bible, tailored Text-To-Speech (tts) software technology. The combination of King James Bible and Maori Bible and its navigation makes this ebook unique. The navigation is solid and perfect for the quick lookup. Whether you are listening to a speech and need to keep up with the Bible references or just read the Bible, this is built for both.